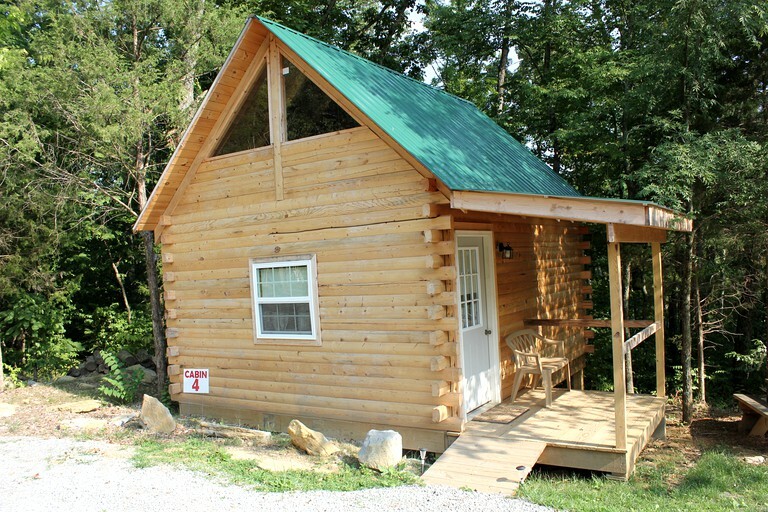 This pet-friendly cabin rental is located in Columbia, Kentucky, and can accommodate six guests. There are two bedrooms and one full bathroom. The first bedroom has a queen-size bed. 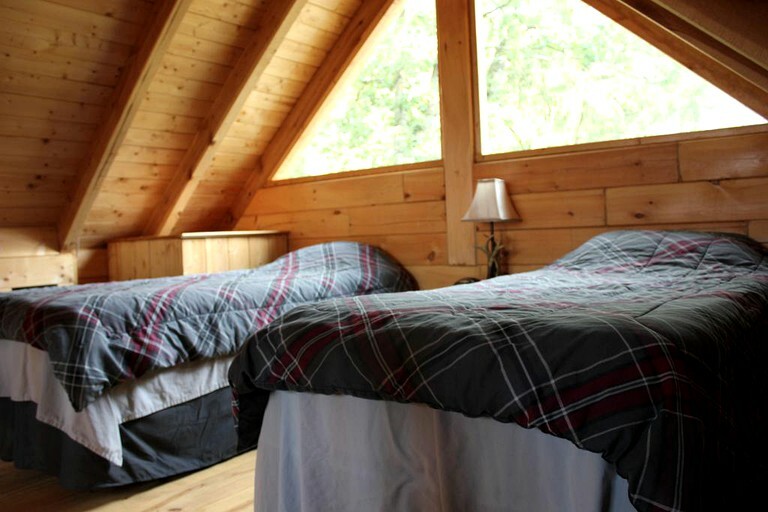 The second bedroom is located in the loft and has two twin beds. In the bathroom, guests will find a toilet, a sink, and a shower. Linens and towels are provided. Basic toiletries are provided. In the living room, guests will find a flat screen television and a gas log fireplace where glampers can snuggle up with a movie. The fully equipped kitchen comes with cooking utensils, dishes, a microwave, a toaster, a stove, an oven, oven mitts, a refrigerator, a coffee pot, and coffee filters. Coffee, creamer, sugar, salt, and pepper are also provided. Other amenities include Wi-Fi so that guests can stay connected. 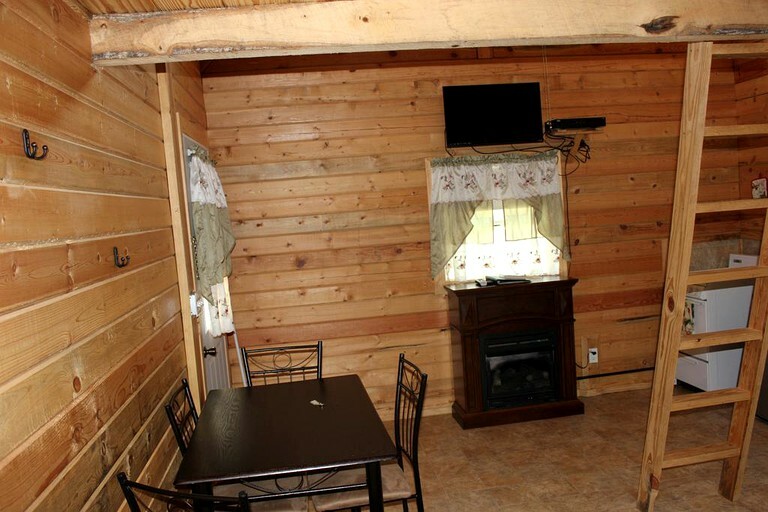 This property has gas log fireplaces, a fire ring, and picnic tables. Guests will also have access to Wi-Fi. 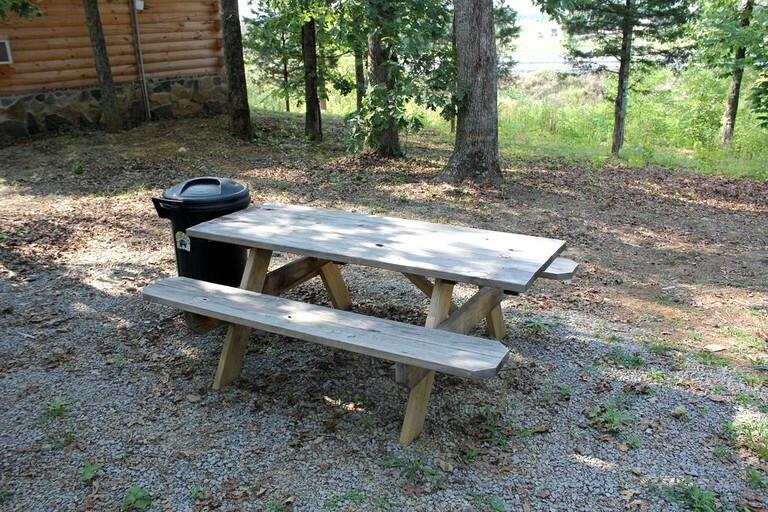 Glampers can experience nature first hand in Columbia, Kentucky. Guests can explore the mesmerizing Mammoth Caves and Cumberland Falls. This is the perfect location to explore the great outdoors and will offer some fantastic photography opportunities. Surrounded by stunning lakes this location is ideal for glampers to enjoy water sports or outdoor pursuits. Heavenly Haven Farm and Ziplines is a great outdoor space to enjoy with the family. Also, within easy reach are Elizabeth town, Louisville, and Nashville. Glampers can be sure to discover vibrant cities not far from their door. Columbia, Kentucky, is sure to offer a variety of activities for everyone to enjoy. This property has a two night minimum stay, is pet-friendly, and non-smoking.